It probably brings a smile to your face to think of acts of kindness towards a duck and knowing that through such kindness its babies will benefit. Somehow when the need for kindness and care is other-directed, we don’t have any trouble responding to it and seeing the wide-ranging benefits. When it comes to caring for ourselves, however, it’s another story all together – even if we’re somebody’s mother, father, sister, brother, and friend. Christopher Germer has written a compelling book, The Mindful Path to Self-Compassion, which walks us through the need to be kind to our fine feathered selves. And we need to do that, not just because we are connected to a host of others but because we cannot be truly connected to them unless we are connected to ourselves. 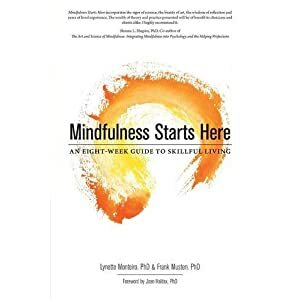 With the explosion of Mindfulness Self-Help books on the shelves, it’s a comfort and relief to have Germer address the issues of mindfulness with clarity and insight. He shares his own experiences which gives a level of transparency to the teachings he offers; it’s nice to know even deep practitioners can fall into unmindfulness. And it’s even better to see how much confidence they have in their practice which gets them back to mindful living. The Mindful Path to Self-Compassion is particularly helpful because it dives immediately into knowing and listening to our bodies. With simple and useful exercises, Germer guides us into a deeper awareness of this transmitting/receiving system and gets us out of our heads. He also tackles the stickiness of difficult emotions with courage and encouragement. “Don’t look away” is brought into action with softness and consideration for our limits at the moment. Of particular use is the Appendix on Emotion Words. What an innovation for those of us who have trouble finding the language to express the intangible sensations that course through our bodies. Under the category of “Fearless” words is an all-time favourite, now rarely heard: stout-hearted. May we all enter our lives with a stout heart! You can enjoy the book by ordering it here. Also visit Chris Germer’s website for online courses and more goodies.